Somehow my company managed to get last minute reservations for 11 people at Del Frisco's in NYC. 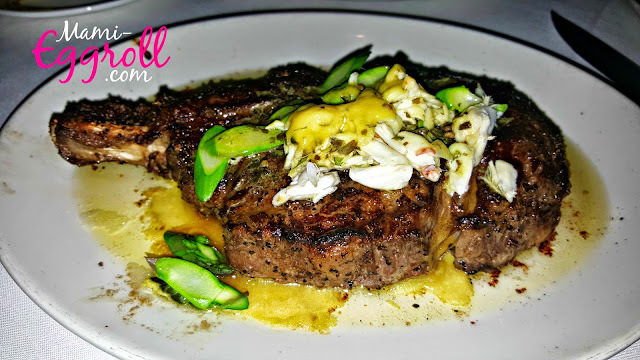 The steakhouse chain is my absolute favorite restaurant for a celebratory meal. Our company was celebrating a great night at Lightfair and taking home a few awards, one being "Agent of the Year" for one of our manufacturing lines. The awards was a pretty big deal and I felt like VIP. 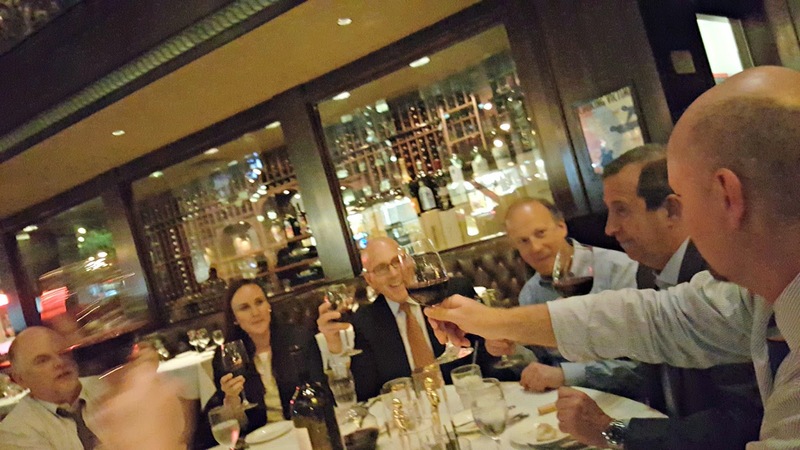 To celebrate, our president treated us out to a nice steak dinner at Del Frisco's. The restaurant was completely full on a Wednesday night. The seating area looked very crowded as the tables were tightly arranged next to each other to maximize diners. Since it was so late, we skipped appetizers and got salads and steaks. The NYC menu is a bit more limited that what I'm used to in Boston. The burrata salad was their special of the night so I went with that. It was awesome. 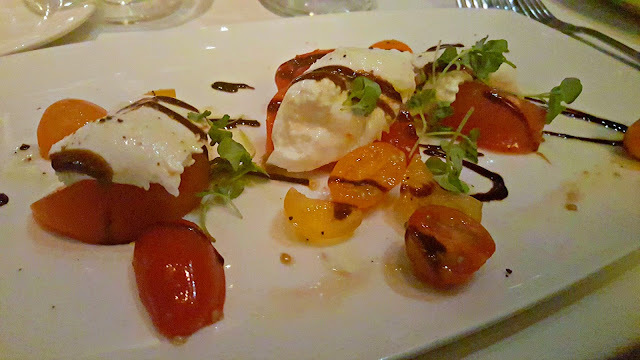 The burrata was creamy and the fresh tomato balanced the dish well. 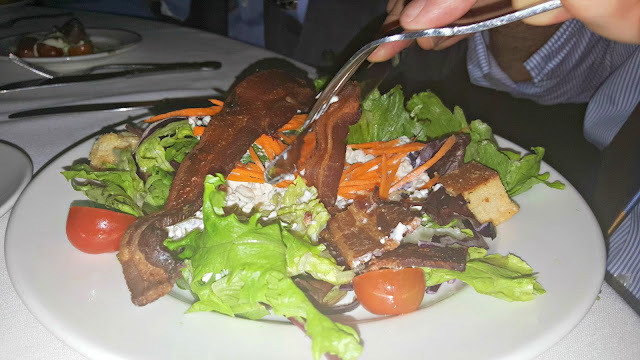 My fellow dining mate next to me went with the Del's salad with bacon. For dinner, the popular choice seemed to be Filet Mignon. I went with the special bone in rib eye topped with crab meat. It was soooo amazing! I love the marbled ribeye. At 16 oz, I could not finish it.